This is the second in a series about the Christian at Work. It is written with the prayerful hope that it will help the vast majority of believers connect their faith to what they will probably spend most of their waking lives doing: working. The first in the series is found here. The alarm clock goes off and we start our morning routine. After making ourselves look presentable and grabbing a quick breakfast and a cup of coffee, we head out the door to go to work. It is a pattern for life for most of us. Here in France, they call this routine "métro, boulot, dodo." But what difference does the fact that we are a Christian make in our life when we head out the door on Monday morning? Whether we are self-employed, the owner of a large company, a line worker, or a middle manager, this verse is a starting point regarding how we are to live. Our boss is Jesus. As followers of Christ, we do not work for ourselves, for our earthly boss, or for our company. We work for Jesus. Instantly this changes our perspective about our workday. Jesus is there and we are serving him. There need be no disconnect between Sunday and Monday morning. All of life is to be lived with the awareness of his presence and with the understanding that Jesus is the Master of our entire lives: that includes work. It affects how we treat customers, co-workers, our bosses, and those we supervise. We will take a look at specific ways that it affects these relationships in future posts. First, we will consider two characteristics that the Lord wants to develop in us regardless of the work that we do. In last week's post, I wrote that we are commanded to do something useful with our hands. This usefulness is designed to help provide for ourselves and to be a blessing to others. The schoolteacher earns a salary while educating students. The engineer is paid for designing a new road. The clerk is paid for stocking the shelves so that people can buy the things that they need. In each of these cases, the worker is doing something useful that helps other people. 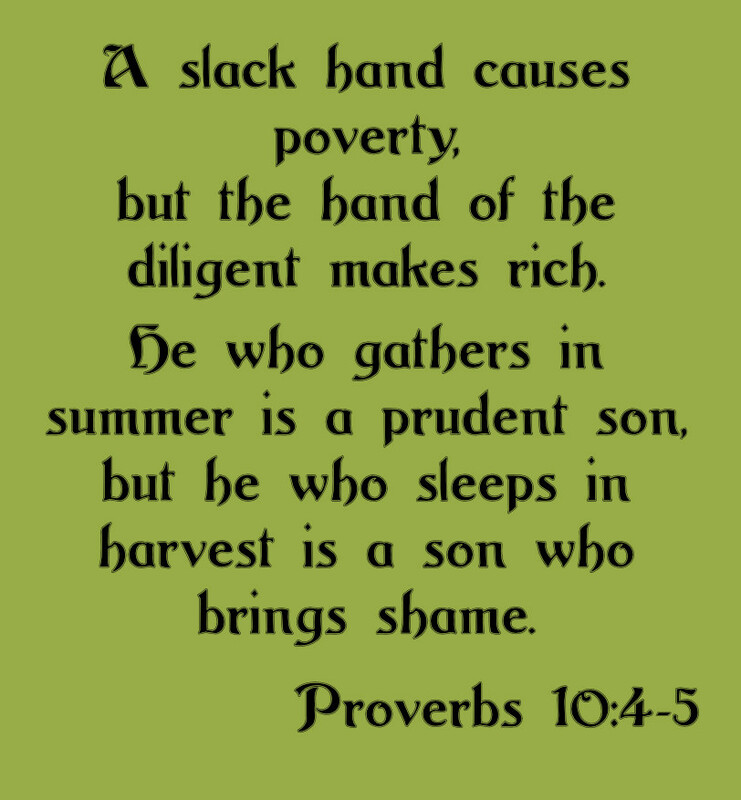 The Lord expects us to be diligent in doing this. Diligence is simply conscientiousness and perseverance in doing a task. If work is doing something useful that benefits others, diligence is doing it consistently well for the long-term. I remember laying down on the sidewalk as a little boy watching with fascination a colony of ants. Those little things never stopped moving! Some were building the anthill while others were busy gathering food. 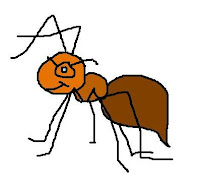 Sometimes a few ants worked together to move a large piece of food. I could only imagine what was happening beneath the surface. It was amazing. 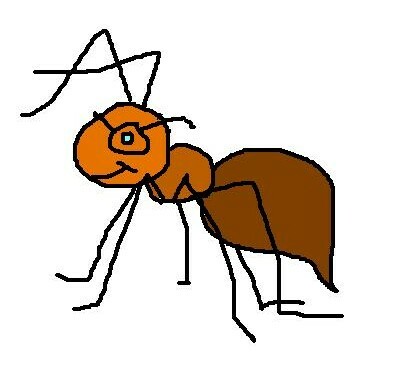 Of course, ants are common and as adults, we often don't pay attention to them unless we find them in our kitchen. That's why I was startled a few year ago when I was sitting on a bench in Recife, Brazil. I looked down and there was a ribbon of green moving across the dirt. Thousands of ants were climbing single file up a nearby tree. Each one then took a small piece of a leaf back down the tree and marched it, single file to a giant anthill 50 meters away. Incredible! The Bible holds up the ant as an example to us of the type of worker we should be regardless of our job (Proverbs 6:6-8). They have something to teach us: those little guys know how to work. 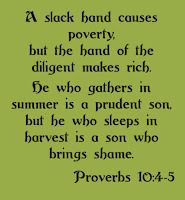 We are to work diligently in order to provide for ourselves and to be a blessing to other people. A group of diligent workers is a powerful thing because their work does not improve only their own lives, it improves the lives of the whole community. In this way, work is a manifestation of love for one another. I have a friend whose picture should be next to the word diligence in the dictionary. A millwright by trade, he worked for a large mining company. He was known for not only his hard work but in seeing little things that would make the operation more efficient or safer. I remember the first time I went hiking with him because he carried a little saw in his small backpack. Anytime there was a tree that had fallen across the trail he pulled out his saw and swiftly cleared the obstacle out of the way. He wasn't part of a trail maintenance crew, it just seemed to be natural to him. I asked him about it and he laughed, "When I was a teenager I prayed, 'Lord, teach me how to work.' I guess he answered my prayer." In the Bible, those who are not diligent are called sluggards. They are lazy and full of excuses for why they do not work. I encourage you to look up the passages in the Bible that use the term. The Lord knew that there would be those who would be tempted to take advantage of the generosity of others. They were lazy and were not diligent workers. 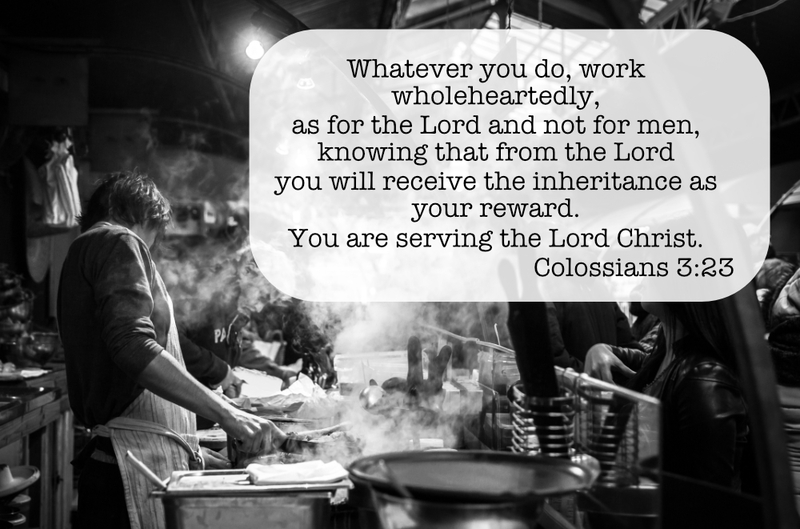 As a result, Paul laid down a rule in the churches: "If anyone is not willing to work, let him not eat." He insisted that people get to work and earn their own living (2 Thes 3:10-12). Laziness is frequently an indication of selfishness in our hearts. We roll over, preferring the warmth of our beds to the small effort of getting up and being a diligent worker (Proverbs 26:4). One of the key traits that God wants to develop in us is honesty. Satan is called "the father of lies" and deceit is his native language (John 8:44). We are to be people of the truth! Often in our work lives, we will be tempted to deceive other people. For example, when I was learning to sell insurance, my boss and I went to appointments together. One afternoon as we made a sale he told me "adjust" the applicant's weight because otherwise his application might be rejected and we would lose the commission. The man was overweight and my boss wanted me to lie in order to make the sale. Opportunities to "get ahead" by lying are found around every corner in the marketplace. "Everyone is doing it!" the evil one will whisper in our ear. We must not listen to his voice. I refused to lie on the application, which frustrated my boss, but my integrity was intact. Proverbs 11:3 - The integrity of the upright guides them, but the crookedness of the treacherous destroys them. Proverbs 21:6 - The getting of treasures by a lying tongue is a fleeting vapor and a snare of death. There are times that being honest seems costly. A sale might be lost or a boss may get mad. In the end, though, our integrity will reflect well on our Lord. We are to keep our lives honorable even among those who do not believe in Jesus. They might accuse us doing wrong, but in the end, they will know that our honesty comes from God and they may even turn to him as a result (1 Peter 2:12). Some of us live and work in cultures that are not open to the gospel. Typically this happens because the culture has an anti-Christian bias. It may be that another religion dominates the land or it has been affected by secular humanism. The moral failures of celebrity Christians do not help. One of the ways to change this attitude is through diligence and integrity in the workplace. When people rub shoulders with someone who is diligent and honest, it is attractive. They are trustworthy. They are caring and sensitive to others. They are seeking to improve the lives of others. Through exhibiting a strong work ethic, Christians can gain the reputation of being the best workers and the best bosses. It will open doors to share the gospel and to plant seeds that may lead others to eternal life.